This post has taken days to escape my drafts, huge chunks of text have been deleted, rewritten, then reworded. Please note, these thoughts are just my opinions. 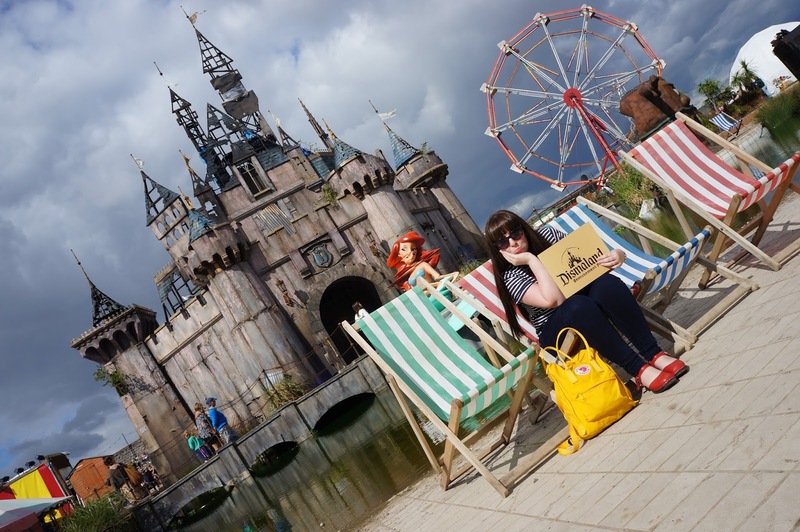 I’m not intending to be an authority on Dismaland, I’m just writing from a lifestyle blogger’s point of view. Be warned, you’re in for a truly dismal post. 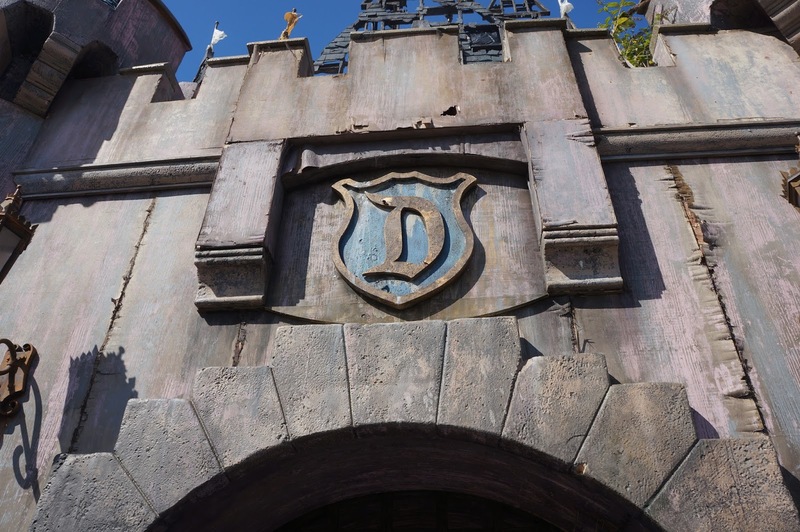 You have to admit, these aren’t the words you expect to be greeted with on entry to a theme park, but then you’d be forgetting that this is a bemusement park, an ironic, subversive spin on your expectations from street art darling, Banksy. After my internship finished at the end of August, I was filled with the sudden realisation that because I wasn’t going to be teaching in early September, I was free to take a break. Honestly, the sense of freedom I felt was overwhelmingly joyous. John and I had always wanted to visit Bristol, but somehow, we’d never visited due to the distance to drive and the costs of train fare. 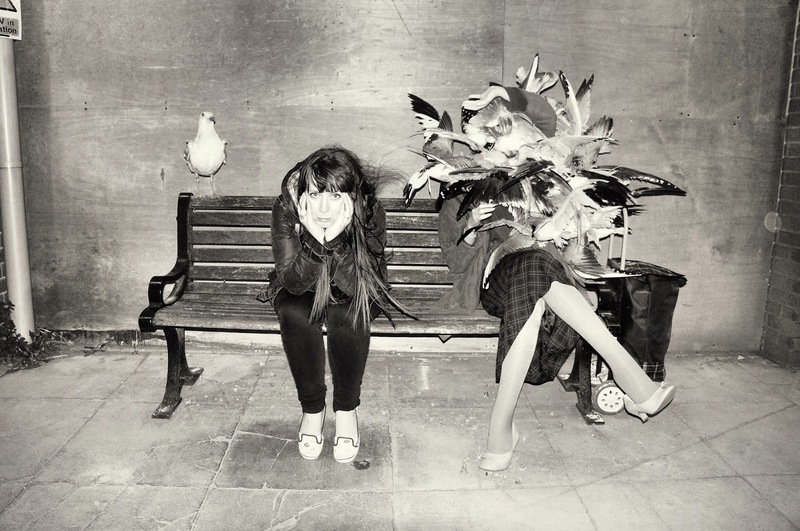 Feeling that it was now or never, I offered to drive to us to Bristol if we could get tickets to see Dismaland. Both at work, with 50 miles between us, we secured three pairs of tickets. It was official, we were going! Arriving in Bristol late afternoon, we hopped on a train to take the short journey to Weston-super-Mare. Yes, we’d read the articles, saw the tweets, but with tickets in hand, we honestly didn’t expect to have to wait in line for an hour. I guess you could say, this is where the dismal experience started. As dusk descended, we reached the end of the queue to security, where our rucksacks were casually checked without the least sense of care if we were smuggling spray paint or Disney lawsuits. 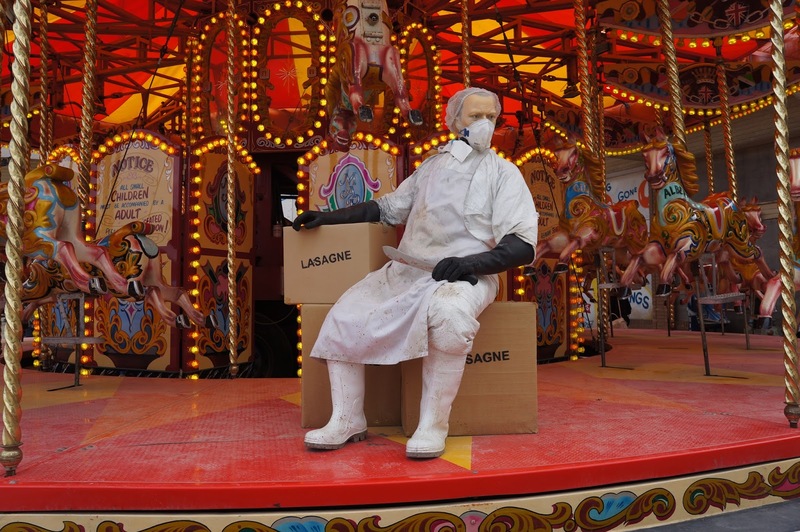 On entry to the bemusement park, you’re lured into a false sense of security; the brightly coloured deck chairs, the contrast striped top attractions, the carousel where each horse has a sparkly name painted on it, the Disney-esque castle at the heart of the site. 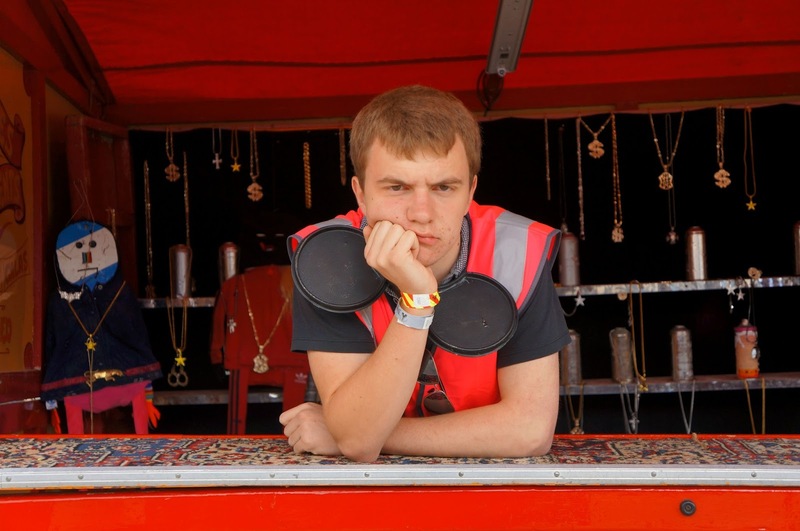 But take a closer look and you will find that there shall be no signs of cheerfulness here, no smiling customer service (the customer is never right), the burnt out castle, balloons depicting ‘I am an imbecile’. I mean, do you think you’re here to have a good time? 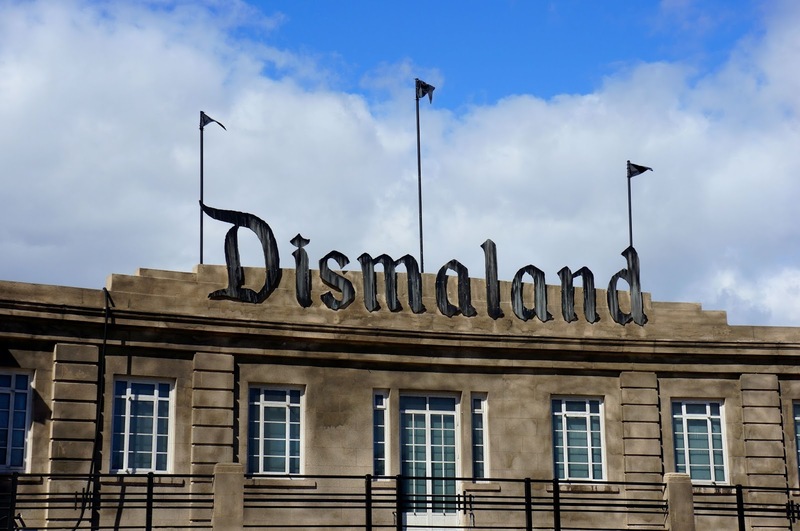 Once inside, we couldn’t escape the parallels between Dismaland and its alter-ego opposite, Disney: queues. Queues for the galley, queues for the castle, queues for the attractions. On our second visit, we headed straight for the castle and nothing, not even an Instagram sneak peek, could prepare me. Like a rotted apple, its contents disturbed me to my core. Instantly, you’re likely to draw parallels between Cinderella’s crashed pumpkin and Princess Diana’s death . I mean, how can you not? However, dig a little deeper and it’s the swarm of paparazzi that’s truly the uncomfortable sight here. Only their flash illuminates the tragic scene, without them, we’d be standing in a darkened room blind to the event that appears to have taken place: the press enlighten how we see the world. 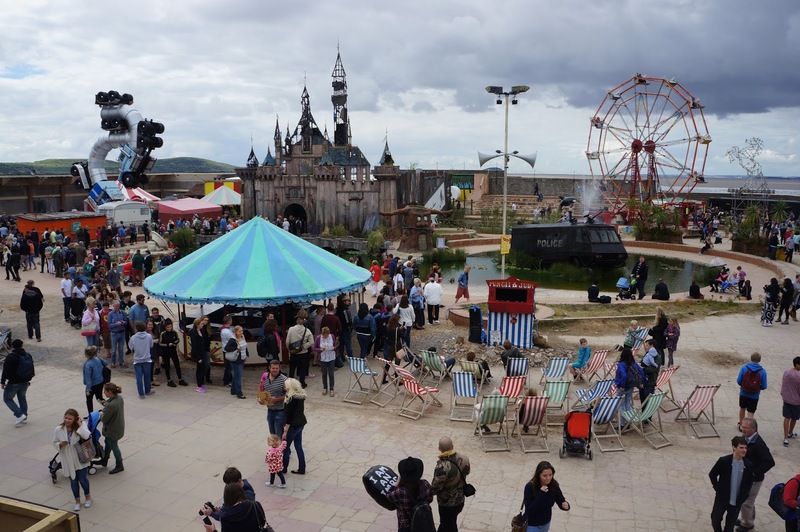 Whilst the topical issue of migrants and refugees has been placed under the media spotlight, it certainly wasn’t left out from Dismaland. I couldn’t ignore the obvious symbolism screaming at me: those with money in their pockets control the lives of others. Whilst others played merrily, I could barely look at the boats crammed with figurines. Then there’s the carousel of colour adorned horses, cheerfully greeting its next rider but look closely as it turns, blink and you’ll miss the unexpected butcher. What’s he doing? Packaging horse meat into lasagne, of course.